Danny visits a museum one day and comes across a dinosaur who begins to speak with Danny. The two spend the day together playing and having fun. 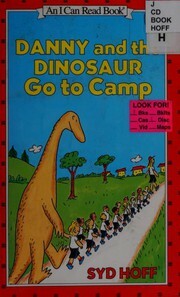 By the end of the day it is time for the dinosaur to go back and Danny, although sad, admits he had a wonderful day. Hoff, Syd, “Danny and the dinosaur,” Children's Picture Book Database at Miami University, accessed April 25, 2019, https://dlp.lib.miamioh.edu/picturebook/items/show/13793.